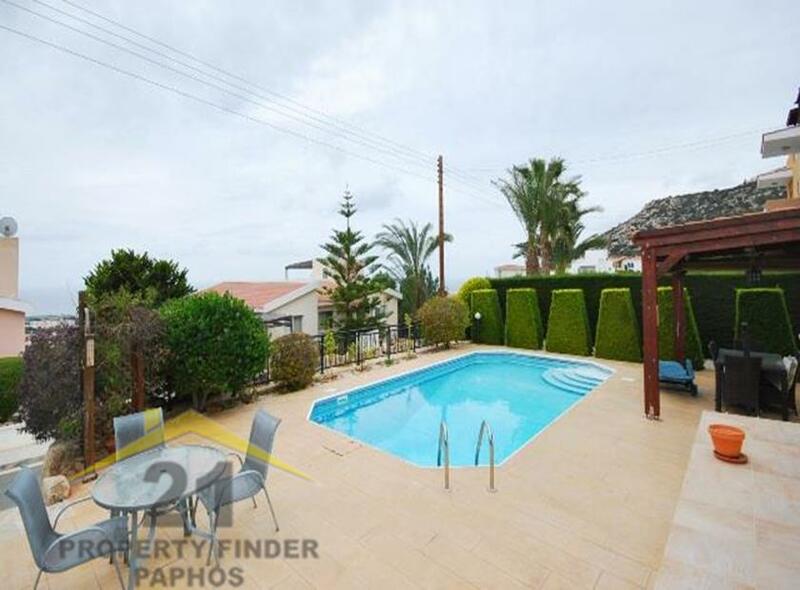 Built in 2005 this substantial villa has been a family home since new, with many upgrades including, gas central heating, air conditioning throughout and landscaped gardens. 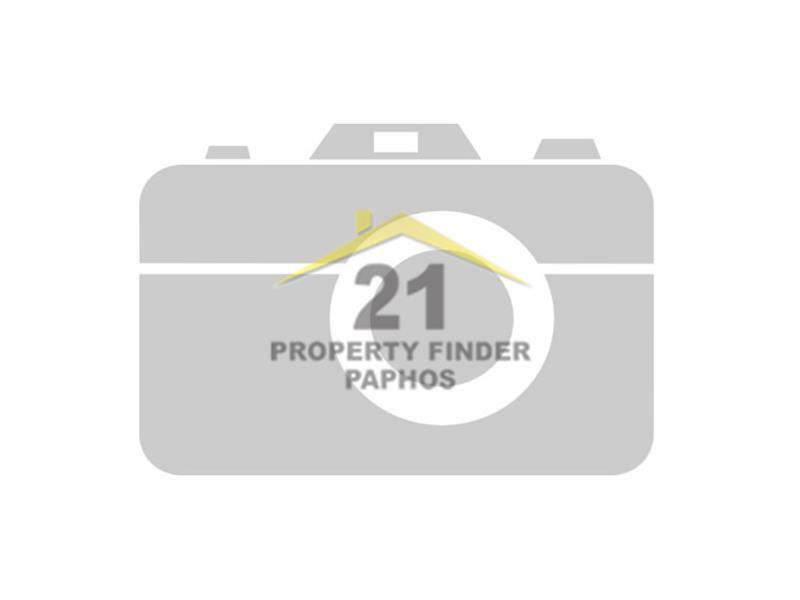 Situated in a quiet residential area of Peyia. 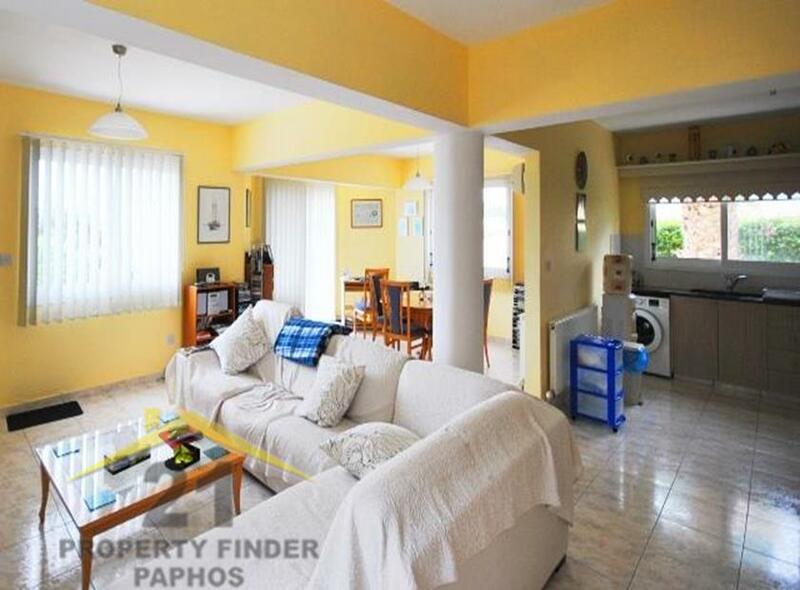 The property is 163m2 covered area plus an additional 34m2 of veranda. At the front of the property there is a pathway to the front door and also double gates to the driveway and steps to the front door. The main front door gives access to the open plan living room, the dining area is set to the side with patio doors to the front veranda, pool and gardens. The kitchen is to the rear of the property and is fitted with ample cupboards, and partially separated from the dining area. One of the bedrooms is at the ground floor level, there is a shower room just next door which also serves as the guest bathroom. An under stairs storage cupboard completes the ground floor. A staircase leads up to the first floor landing and three further double sized bedrooms and family bathroom. The master bedroom is fitted with an en-suite bathroom, the other two bedrooms share a large family bathroom. The master bedroom has patio door access to a veranda shared with bedroom two and both bathrooms are fitted with heated towel rails. A further staircase leads to the roof garden, with built in barbecue, electricity and water supply . The views from this vantage point are stunning, across Peyia village to the sea beyond. The gardens are easily maintained and planted with mature shrubs and trees, the pool has corner steps for easy entrance and exit, has a patio surround and an outside shower. A covered pergola offers a shady spot during the hot summer months. 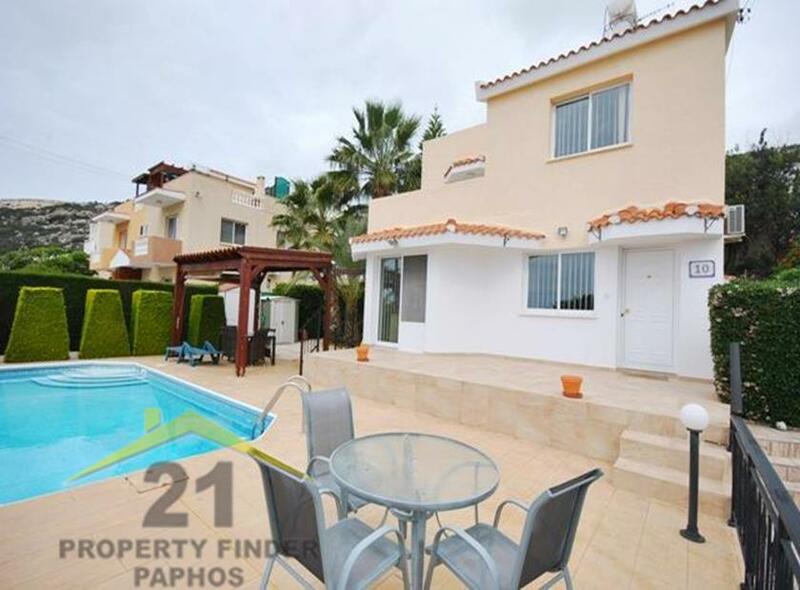 The property has been very well maintained by the current owner and has many additional extras.